Washington - Lawmakers’ talks on border security issues to avert another U.S. government shutdown have broken down over immigration detention policies, a Republican senator said on Sunday. 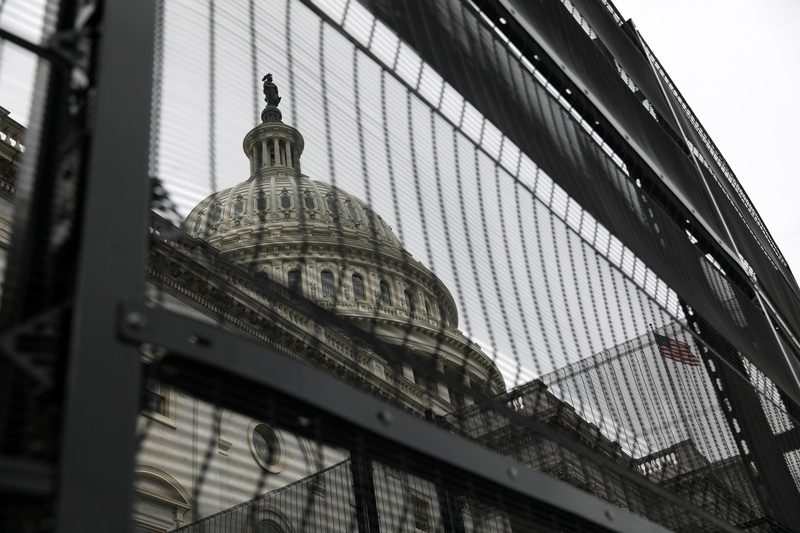 Efforts in the U.S. Congress to resolve an impasse over border security funding intensified Friday and extended into the weekend as a special negotiating panel aimed to come to a deal by Monday, lawmakers and aides said. Shutdown # 2 over Herr Trumpf's ghetto wall won't stop the Dems in Congress from their investigations or Mr. Mueller's investigations into the trumpf crime family syndicate. Bezos vs Enquirer also looming over the Orange Kreplach. Mueller has nothing on Trump. The Bezos affair has nothing to do with Trump. In your twisted little mind, Trump is responsible for all the ills in the world. (Gateway Pundit) – The body language expert – “Body Language Ghost” – reviewed President Trump’s 2019 SOTU. What she discovered is that the Democrat Party is in tatters. The Body Language Ghost on YouTube studied Congress during the 2019 SOTU speech given by President Trump. What she found was not surprising. Vice President Mike Pence comes across as a really good guy. Overall, many of the characters were very stressed at the event (perhaps because of the rift the Democrat Party has created in their attacks of the duly elected President Trump?). And there you go, you start to see the split. So they stand up. They don’t all stand up. We’re not seeing the police, that church police that gives you the cut eye when you’re doing something that doesn’t go with the congregation’s doctrine!